UK-based electronics manufacturer Musical Fidelity has announced three new products, all of which are integrated amplifiers: the M6si, which is scheduled to begin shipping next week; the M3si, shipping July 20; and the NuVista 800, shipping in September. The M3si replaces the M3i and comes with a built-in digital-to-analog convertor accessible through a USB input, along with a host of analog inputs including a phono stage for connecting a turntable. Power output is now 90Wpc and the price is $1499 USD. The larger M6si is similar in terms of connectivity, but the unit is configured as two independent mono amplifiers and a separate preamplifier. The chassis is larger than the M3si and the power output is 200Wpc. The cost of the M6si is $2999. Rounding out the new Musical Fidelity trio is the flagship Nu-Vista 800. The June 18 press release explains the genesis of the new model: "Fifteen years ago, Musical Fidelity was the first company in the world to use nuvistor tubes for their high-end Nu-Vista series. 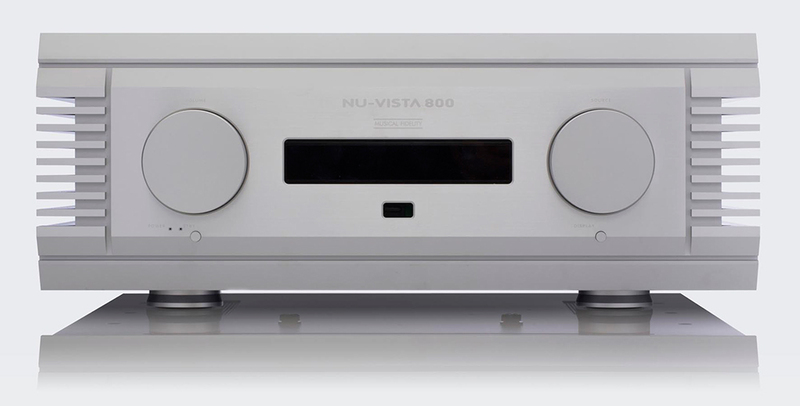 The original Nu-Vista series (Nu-Vista preamp, Nu-Vista M3 integrated, Nu-Vista 300 power amp, and Nu-Vista 3D CD player) created a sensation when they were launched in 1999. They gave an almost perfect balance between state-of-the-art transistor and tube design." Musical Fidelity reported that they recently found new supplies of nuvistor tubes, so the new model was born. The press release explains some of the differences in design approach this time around: "For the first time in the history of hi-fi, Musical Fidelity has combined nuvistor technology with Surface Mount Design and CAD/CAM PCB concepts. The aim of this large undertaking was to create an ultimate super integrated amplifier. The result is extraordinary technical and sonic performance." The cost of the Nu-Vista 800 is $12,999.